April | 2014 | Wine Etc. 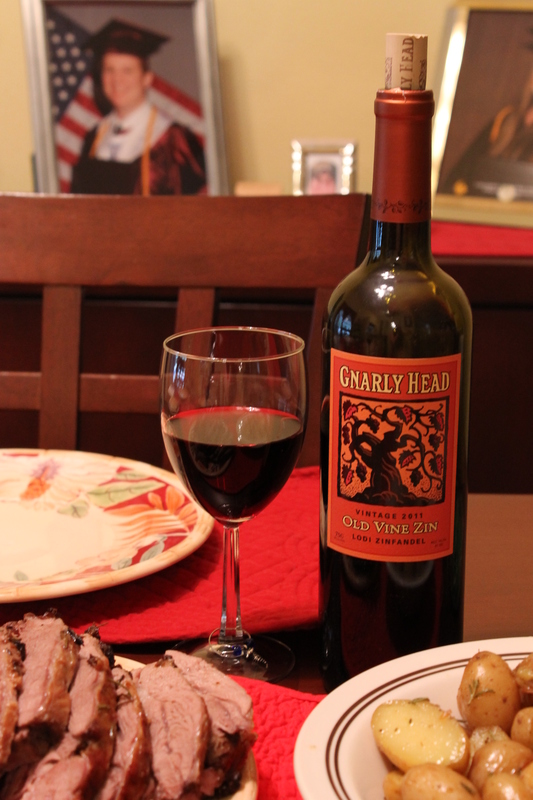 For our Passover dinner I wanted a wine that would pair well with lamb so I grabbed the bottle of Gnarly Head Old Vine Lodi Zinfandel my grandparents sent me around the holidays last year. I’m not sure if i’ve ever had a red zinfandel before, but it was very nice and obviously much different than the pink Zinfandels I was used to. Everyone at the table was very pleased with it’s low tannins and bold but smooth taste at 14.5% ABV. This Californian wine boasts old vines anywhere from 35-80 years old. 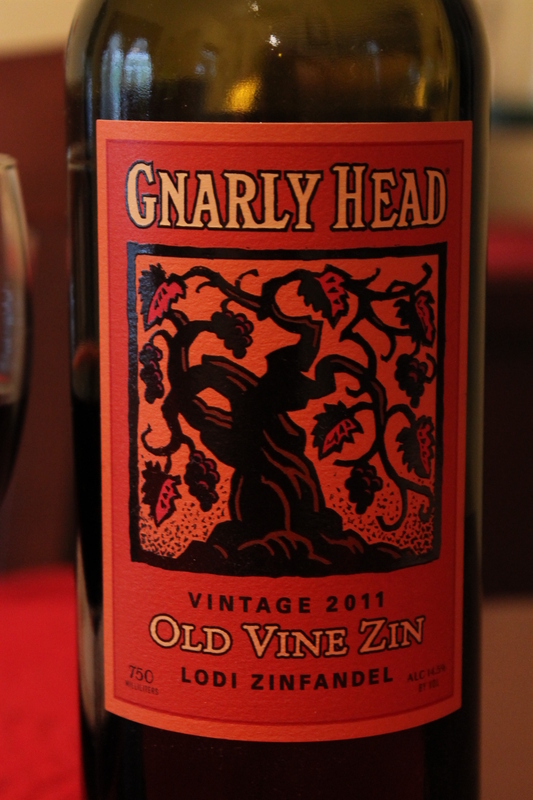 It smelled of vanilla cherry swirled in oak and tasted very much the same without an overpowering oak tang. Although this was a gift I have seen the bottle before at Wal Mart so it shouldn’t be too hard to find. 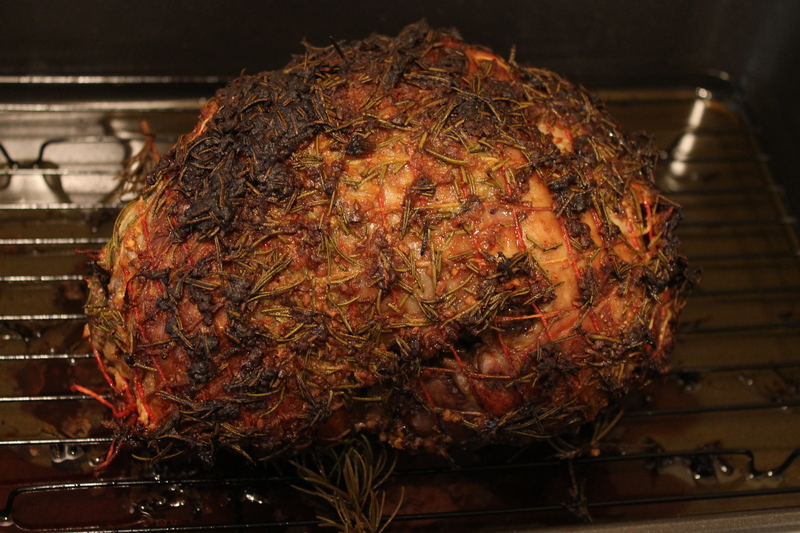 I would purchase this again; it paired well with the lamb and would go great with steak. I finally opened a bottle of wine I won at my staff holiday party back in December during a white elephant gift exchange. I can’t complain about this wine too much because free wine is good wine, but it was not my favorite. 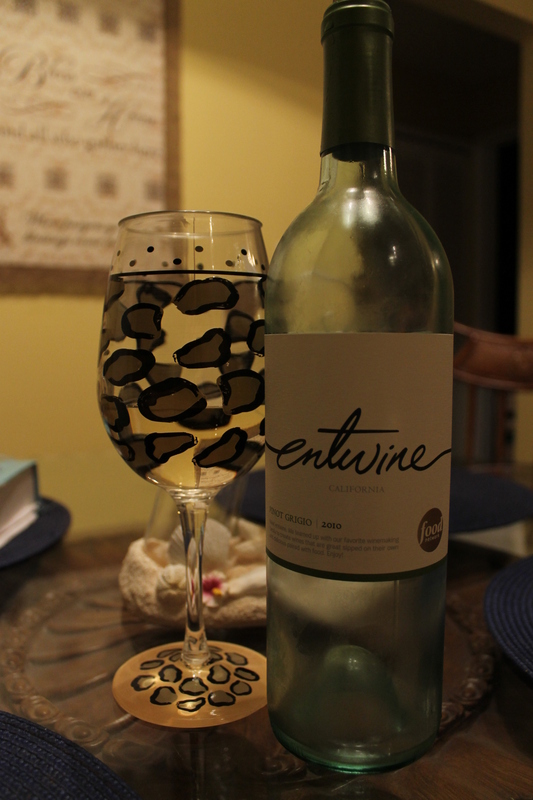 I had no idea Food Network had their own line of wine, but they do, and it’s called Entwine. This 2010 California Pinot Grigio smelled better than it tasted. I can’t figure out if I didn’t like it because i’m discovering I don’t like Pinot Grigio very much, or if the 2010 vintage was past its prime. With 13% ABV it was hard to drink. 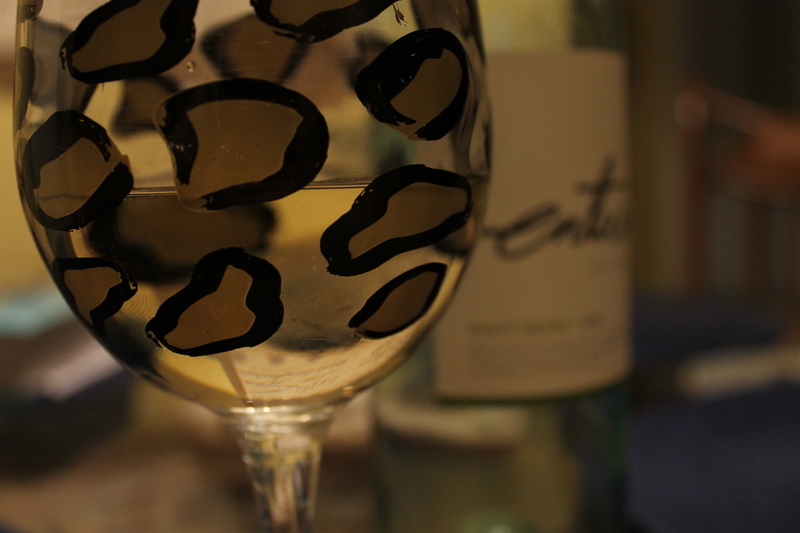 I always refrigerate white wines so that helped, but it was just very tart, kind of like sour apples. It smelled fruity and crisp and had very nice legs. I would suggest mixing it into a white wine sangria, or serving it with something spicy. I’m guessing it’s around $10 since that was the price limit of our white elephant gifts and probably isn’t too difficult to find at most grocery stores. Last weekend I went on to see the 1990 Teenage Mutant Ninja Turtles movie playing at the Tampa Theatre with my best friend and we arrived downtown a little early so we stopped at this neat restaurant/bar about two blocks away called TAPS. 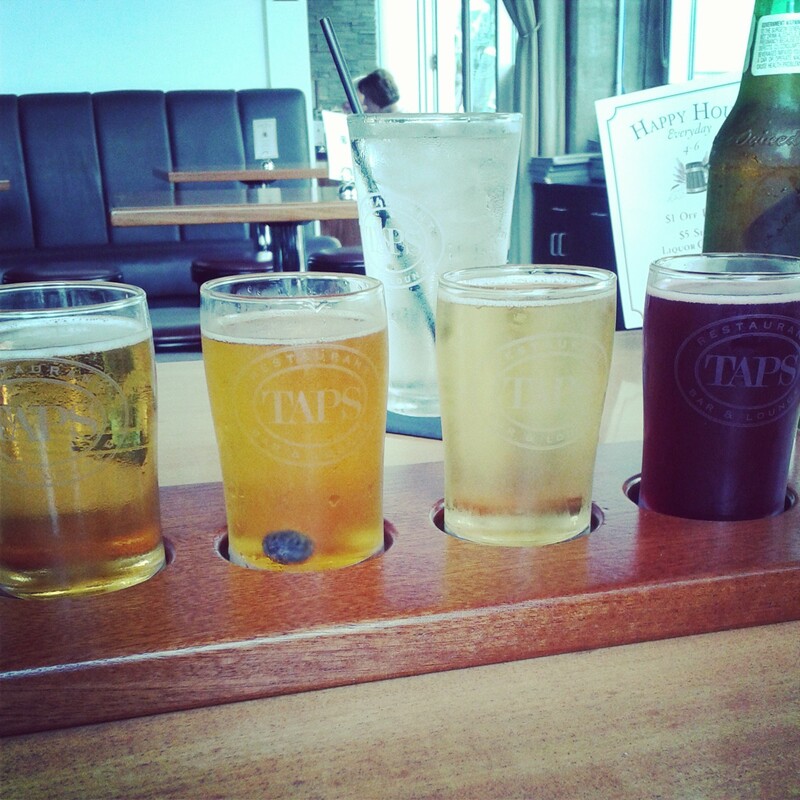 It has a very laid back, upper class feel that fits in well with that part of Tampa offering a large selection of craft beers on draught and bottled as well as tapas style food. It was a nice day so the small lounge had the doors open, but it was a little warm inside, and this is coming from the girl who is usually cold everywhere. We shared the roast beef sliders au jus, which was about a nine inch sandwich cut into three, that was delicious for $10. We also got a flight of four I think it was 6 oz. pours my choice from the draught menu for $11. I didn’t try anything new except for Lindeman’s Framboise, which I believe is a different brand of framboise than i’ve had previously. I think it’s the infusion with raspberries making it a tart drink that I love most. Even my handsome companion, who is not a big beer drinker, thoroughly enjoyed it. The menu is a little pricey but if you’re looking for a specific brew the selection is awesome; they literary give you a book to look through. If you’re ever in the area, it’s right across the street from the Tampa Museum of Art and definitely worth a try.